consequently the total capital was increased to £800,000. Bank of India, Australia and China. once again appointed as the bankers for the Peking Syndicate Limited. notation was added to specify “Lloyds Bank Limited”. 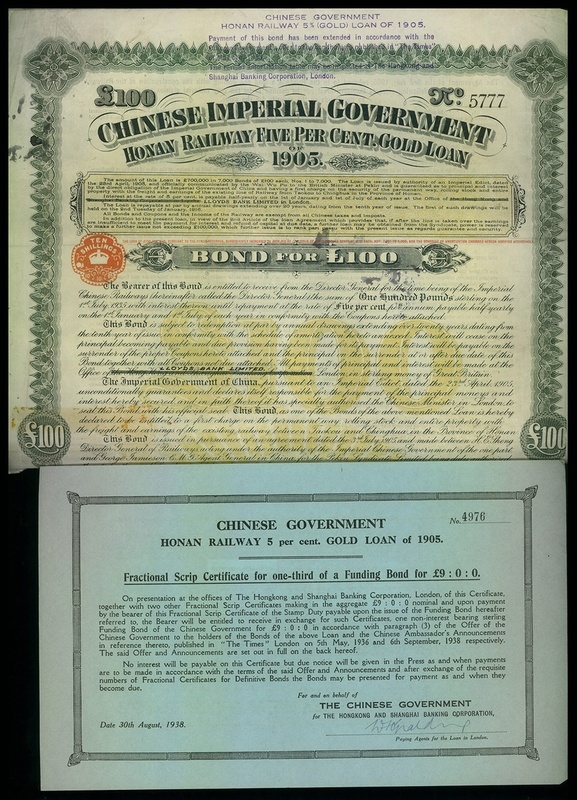 Bearer bonds were issued at different dates as shown in the table above. to Chinghua in the Province of Honan.